Residence of S.P. Lonas Mt. 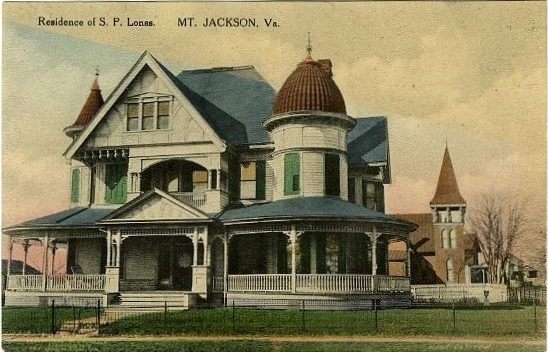 Jackson Va.
Postcard showing the house that is now occupied by Dellinger Funeral Home in Mt. Jackson Virginia. The Albertype Co. Brooklyn New York, “Residence of S.P. Lonas Mt. 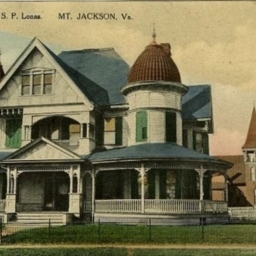 Jackson Va.,” Shenandoah County Library Archives, accessed April 25, 2019, http://archives.countylib.org/items/show/5469.